Bullying can best be defined as an imbalance of power. Whenever there is an imbalance of power or strength that is either real or perceived there is a potential for the greater power to intentionally threaten or harm the weaker one. This power struggles usually takes place over a sustained period of time and has the potential to escalate into violence. There have always been tough boys and mean girls all over the world who have enjoyed teasing, taunting and making life miserable for other kids. But now, with more electronic media readily available through the use of cell phones and the Internet, bullying has become more dangerous, more devious and often more difficult to detect. We used to think bullying could begin at any age but, typically it begins to escalate around the third grade, peaking by about eighth grade and tapering off in high school. We are now finding bullying often starts earlier and lasts much longer. 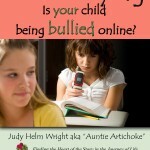 The combination of cyberspace and bullies can be a dangerous combination. The escalation of cyber-bullying can range from mild teasing to death threats. Craig’s friends laugh as Tom slams his water bottle on the table and walks off. Problem solved, not quite. Friday as the boys are in the locker room preparing for soccer practice, Tom notices Craig is now alone. Without Craig’s friends around Tom feel more powerful leading Tom to accidentally push Craig into a locker. Tom then takes Craig’s soccer shorts and puts them in the toilet. Tom adds some fuel to the fire by testing the other players on the team telling them Craig has wet his pants and requests they pass the message on to everyone they know. When Craig arrives for practise everyone is laughing at him, and making comments. Craig now feels more vulnerable because he is the smallest boy on the team. So, this teasing, taunting and belittling has a profound effect on him today. When Craig finally gets up enough courage to tell someone what is happening to him the coach he speaks to brushes off Craig’s concerns with a comment about boys being boys. Craig has been bullied twice in this scenario. Were these incidents all part of the jockeying for position in a social group? Bullying is a catch-all phrase which encompasses taunting, teasing, jeering, threatening, kicking, shoving, and physically assaulting others. Indirect bullying, or more commonly ‘bystander bullying” is when one child or a group of children intentionally ignore a bullying incident, exclude, or shun another child or group of children without ever having a physical altercation. This type of bullying often has the same devastating effect as a physical assault. Thanks for joining our community of caring parents, family members,coaches, teachers and mentors who want to help raise a generation of responsible adults who respect others. Judy H. Wright http://www.ArtichokePress.com You have permission to reprint this article in your blog, ezine or offline magazine as long as you keep the content and contact information intact. Thank You.